Why do people struggle with creating the changes they say they want? What insights do you need? More importantly – what strategies can you implement to create long-term professional and personal change? This book focuses on the internal components connected to our challenges and successes. In every chapter, there are actionable strategies to tackle the challenging internal battles that get in our way when reducing fear, improving productivity, increasing motivation, improving emotional intelligence and other aspects of ourselves that are so crucial when creating change. This book is part story drawn from years of working with individual therapy clients, corporate consulting clients and individual coaching clients. 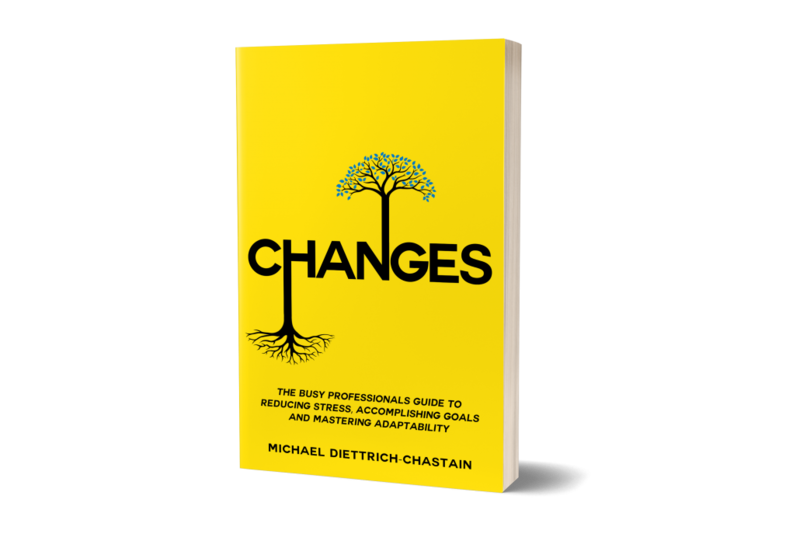 This book is for people looking for real tools and strategies that will help them reduce stress, improve productivity, or otherwise navigate a challenging professional or personal change. They may feel stuck professionally or personally with a career, a negative habit or a goal that they consistently miss. It is not just a book of insights that will help you to think differently, although you may adjust your thinking. Changing how you think alone, will not create the changes you seek. This book offers a bridge between awareness and application. It is how we apply our insight that actually creates sustainable change. The author has seen people make change (and fail to make change) in a variety of settings. His experience explores change through the fields of organizational consulting, professional coaching and psychotherapy. This book explores the seven themes that have come up consistently during his career and personal life that influence the success and failure with creating change. This book offers actionable strategies through a model that looks through all the lenses that impact our ability to create the lives we want.